Here is our first weekly updated for 2014. We try to post at least one time a week to give updates on what is going on at Tinytouchtales. 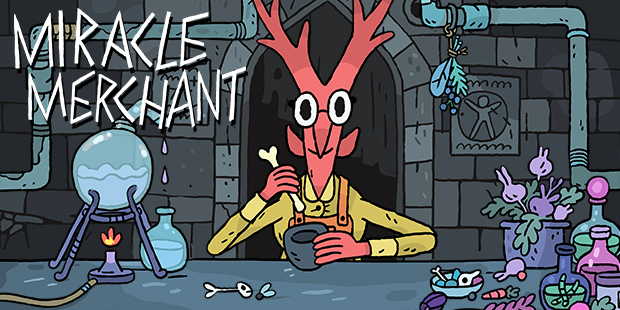 Some of you might have seen it: we are working on our very first sequal to a game. Here are some thoughts on why we pickup the „brand“ again. Muffin Munch was released December 2012 and is still our best game in terms of consistent downloads and searches in the App Store. 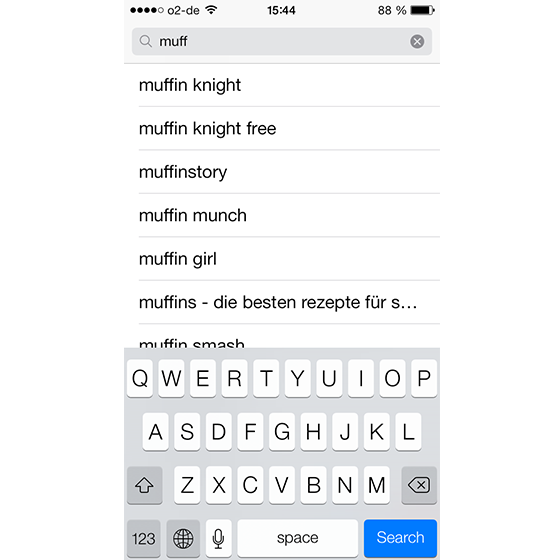 Due to the uniqueness of the name we are ranked #4 if you search for Muffin. 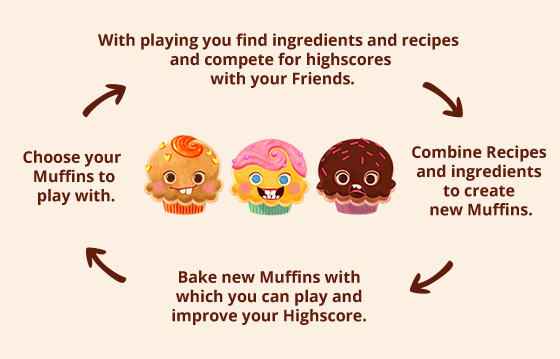 Even though the gameplay of Muffin Munch was not bad, it never hooked as many players as we hoped, but the theme was always very strong and liked by a lot of players. In opposite to Muffin Munch we have Matchagon. In terms of gameplay we really hit upon something here. The unique mix between Tetris, Strategy Puzzle and Match-3 hooked some of our players to the max. Reports of playing 6h straight and batteries drained were no surprise. But due to the very stylish and minimalist appearance of the game, it could never reach a broader audience that would have very likely enjoyed the game too. So here we are with two games, one with a very broad appeal but too flat gameplay and one with niche graphics but gameplay simple and challenging, perfect for mobile. As you can see the only logical conclusion for us is to pick the best parts of both and combine them in a new game. We will reveal more infos in the coming weeks. Mean while you can take a look at www.muffinmunch.com, where we setup a small landing page. With more infos to come we will update the page and the blog. As you might now Arnold has been a long time evangelist for Stencyl, but we finally reach a point where we believe that what we can achieve with Stencyl is not the maximum anymore. Therefore we started to work in Unity. Unity is the biggest Game making tool around and was mainly developed for 3D games. In the last 4.3 update, Unity announced dedicated 2D tools and enabled it’s engine to easily develop 2D games. Starting with a 2D scene view and Sprite importing and Animation tools, it made a big leap towards accessibility. This is why we finally jumped the train and will develop Muffin Munch 2 in Unity. We are using a great 2D Plugin called 2DToolkit to help us with Sprites and UI. Additionally we are going to use an Animation-Tool called Spine that will help us to bring the Muffins to live. We are super impressed with Unity so far and development has been very fast. Keep an eye out as we will start the Alpha for Muffin Munch 2 very soon!